The popular TV programme is filmed at a purpose-built ice rink and TV studio at Bovingdon, Hertfordshire, just a few miles from Eat to the Beat’s HQ and sees celebrities paired with professional ice dancers to perform figure skating routines in front of a panel of judges, including Olympic skaters, Jayne Torvill and Christopher Dean. Eat to the Beat arrived onsite at the beginning of December to serve the show’s crew with nutritious and hearty meals to fuel them through the build. The ice rink and studio are housed within a temporary structure so everything had to be built from scratch. 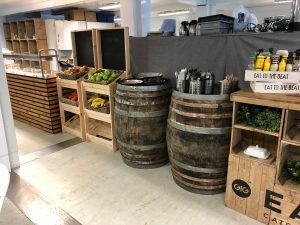 Crew catering is a modular building built especially for the show and the production team has provided Eat to the Beat with power, water and drainage. The caterer has then brought in its own specialist kitchen equipment. 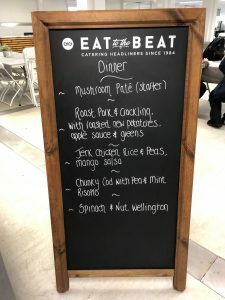 Now that the live shows have begun, Eat to the Beat is busy serving breakfast, lunch and dinner to the crew, celebrity contestants and their professional skating partners until the series finale in early March. 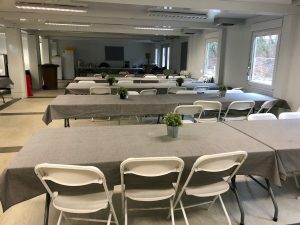 By that point, 9,850 meals will have been served. What’s more, the site is nut-free, so the catering specialist can ensure food safety across for everyone involved in the production. Eat to the Beat carefully crafts its menus to cater to a wide variety of tastes and dietary requirements.